It's been a long time since I've gotten into a Beta for any game, though to be fair, it's been a long time since I've tried. It's more and more difficult to balance work, life and gaming when you're married with a career and have a dozen other things going on. I was worried when watching some of the trailers for this game. It's very fast paced, using both the vertical and horizontal for movement. Instead of just jumping, Titanfall allows your character to double jump and wall run across any building or vertical surface. I don't game as much as I'd like these days, and was wondered if I wouldn't be able to keep up. Thankfully, many people were in the same boat as myself. 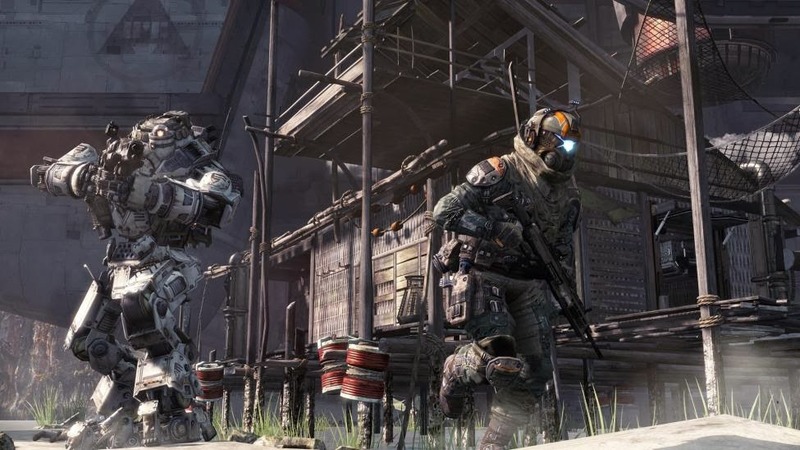 While Titanfall incorporates new player actions both in and out of the Titans, it is easy to get the hang of basic movements. However, mastering it may take a bit of time. Once you get your first Titan delivered, the player has various options on utilization. You can either pilot the Titan or you can get out and tell it to guard a certain spot or follow you around, creating a gigantic AI puppy with a chain gun and rocket launchers. Balance is surprisingly well done between being a pilot with or without a Titan. Everyone has an anti-titan weapon of some kind and the ability to jump on the head of an enemy Titan and fire directly into a weak point. It exposes you to enemy fire, but there is no feeling of unfair balance. 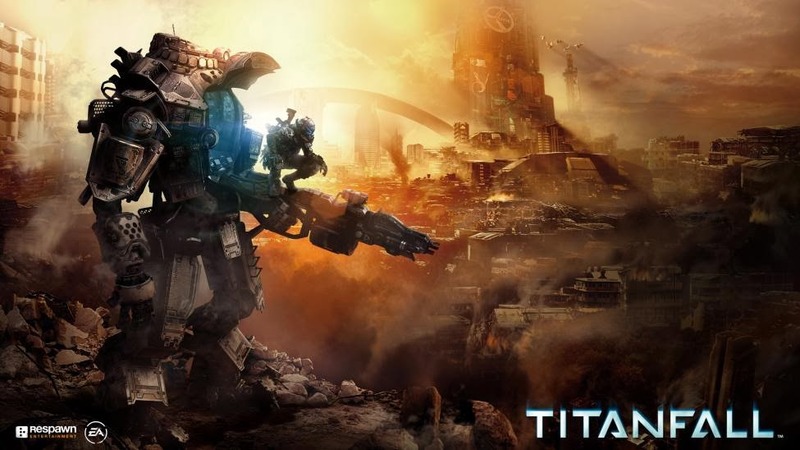 Titanfall will be a multiplayer only game but still charge the regular $60 on the day of release. I got a few entertaining hours out of the Beta, but so far the full game doesn't seem to add much else other than more maps and a few other game types. The Beta had a team death match, conquest and Titan battle modes, so we will see where they manage to expand from there. It does bring up the debate for or against a tacked on single player. I own Battlefield 4 and have only put about two hours into the boring single player game, so is it better the company focused all their resources on just multiplayer? It didn't work for Shadowrun, but that game was released in 2007 to lackluster reviews. We've dropped cash on plenty of single player games without multiplayer elements, why balk at the opposite? Secondly, the EA elephant in the room. I don't know fully what their involvement was in the planning, development and execution of Titanfall, but we've been burned enough times in the past to fully trust anything with their logo slapped on the front. I'm planning to wait a week or two so I can hear the reports from others on how well the servers are managing before making the full purchase. My next issue is being hampered by current generation hardware. I'm not usually a PC elitist, but it feels there are severe limitations being placed on Titanfall's performance. I first noticed it with the Field of View topping out at 90 (and we'll see if that improves with the full game) and then realized that the 6v6 limit placed on each match was unnecessary considering the amount of drone AI characters released onto the battlefield. Maybe it's to keep the game from getting cluttered with Titans, but map sizes can easily be expanded and more player characters added. Perhaps Titanfall 2 will be far enough into the XB One generation to kick it up a notch or maybe I'm just too spoiled playing 64 player Battlefield 4. Yeah it looks impressive now, but try putting a treat on his nose. The learning curve is easily surmounted in the tutorial. You're given a nice, sterile area to practice wall running and jumping before being tossed into the crumbling arena's of the game. It's enough to make sure you can do the basics, but will need time to learn the maps before you're an expert anywhere. One of the things I really loved about the game is that it accommodates all kinds of play styles. Smaller maps means those who love to run and gun can do so without having insurmountable distances to travel. It also helps counteracting sniper fire. However, if you want to go it slow and cautious or sit back and snipe, you'll be able to. I found I'm not too great inside of a Titan and would rather set it to guard an area while capturing a point or to just follow me around as we clear areas. The destruction of a Titan doesn't set you back at all since a few kills and a minute or two can have another at your feet. I also like that Titans are easy for everyone to get. It's not just for those who manage to get a kill streak. While killing enemy Titans and pilots will speed up the process, you will at least get one Titan during a match. Match time is both a plus and minus for me. I am hoping PC servers will allow admins to create their own rules and regulations for matches, either elongating via time or kills. Sometimes a ten minute match can be great, but often enough it breaks the flow of gameplay for me. Other interesting things to note are the epilogue and the minions. Once the match is decidedly over, the epilogue starts. The losing team attempts to get back to a ship before being killed, and the winning team attempts to kill them all or destroy the ship. It adds a nice way to end a game other than fading to black. Minions (or specters) are AI gun fodder. They aren't overly dangerous and they don't count for too much when killing, but they do help speed up your Titanfall. Overall, great game. Of course we will have to wait for the full game before making any real decision, but as long as the servers are solid, I would recommend the game. Even with the limited beta, the game feels solidly built. I can certainly see myself getting a good 50-60 hours of gameplay out of it. Best moment of the game was calling in a Titan to drop and watching two enemy pilots run directly into the drop area when it hit. Two kills for me.